Its below what I've targeted but at least it is more distance than what I've did in January.For cycling, low mileage due to every time I want to cycle , it is raining. Very frustrating. 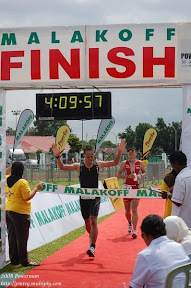 Hopefully my training is enough for me to finish the 1.8km swim, 90km bike and 21km run.